Showing results by author "David E. Klonsky"
You’ve read the books. You’ve seen the films. Now get inside the heads of your favorite Twilight characters (just like Edward can!) 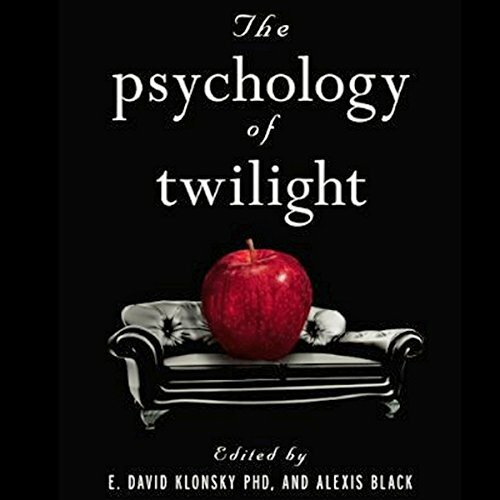 in The Psychology of Twilight. Explore the minds and motives of Bella, Edward, Jacob, and more with a deeper look at the series that’s captured the hearts and psyches of millions. Find out: How Edward and Jacob match up in an evolutionary psychology smackdown for Bella’s and our affection. Whether Bella’s motorcycle-riding and cliff diving in New Moon are suicidal or her salvation. Why vampires and werewolves aren’t so different after all (at least psychologically)The emotional appeal of love stories like Bella and Edward’s. Why being a part of Twilight fandom is good for your psychological health. Snuggle up on the closest chaise, and get ready to revisit the Twilight Saga with some professional help.